Jeanne Nyquist - Innovative Growth Solutions, Inc.
Jeanne Nyquist has over 30 years of experience as a manager and organizational development consultant. She works with Clients to develop leadership capacity, plan strategically and increase the skills and effectiveness of staff. Jeanne has led organizational development efforts for a variety of organizations, including strategic planning, organizational design and leadership development. Jeanne managed public works and transportation operations for several years and also served as a park ranger for Oregon State Parks. She is an active member of the American Public Works Association and is a trainer in the Northwest Public Works Leadership Institute. 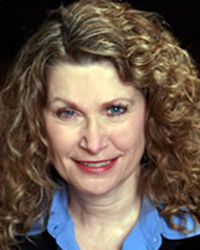 Jeanne holds a Bachelor of Science Degree in Management and Business from Marylhurst University. She is an accomplished speaker and trainer who uses life’s experiences to illustrate leadership concepts that will enhance personal and professional development. Jeanne is an avid downhill skier who enjoys connecting with nature on the slopes. She lives in Tigard, Oregon, with her very active Jack Russel Terrier. Leadership Development, Strategic Planning, Diversity, Equity and Inclusion, Team Building, Facilitation, Training, Change Management and Asset Management.